For introductory courses (freshman and sophomore courses) in Digital Signal Processing and Signals and Systems. Text may be used before the student has taken a course in circuits. DSP First and its accompanying digital assets are the result of more than 20 years of work that originated from, and was guided by, the premise that signal processing is the best starting point for the study of electrical and computer engineering. 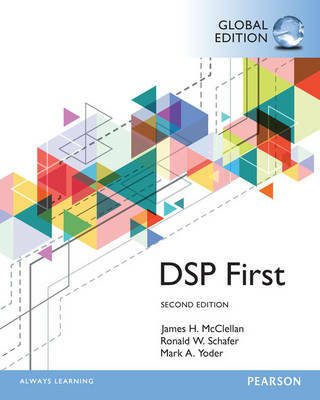 The "DSP First" approach introduces the use of mathematics as the language for thinking about engineering problems, lays the groundwork for subsequent courses, and gives students hands-on experiences with MATLAB. The Second Edition features three new chapters on the Fourier Series, Discrete-Time Fourier Transform, and the The Discrete Fourier Transform as well as updated labs, visual demos, an update to the existing chapters, and hundreds of new homework problems and solutions.